David MacLaren was born August 27, 1927 in Windsor, Ontario. His family moved to a tobacco farm near St. Williams when David was only six months of age. This move set in motion a lifetime of involvement in the tobacco industry in Norfolk County. David graduated from Simcoe High School and started working in ta bank but soon moved back to the family tobacco farm as a share grower. He married Grace Durward and they had one daughter, Suzanne. In 1928, The MacLaren tobacco farm located in South Walsingham become one of the first farms to grow flue-cure tobacco. David served as a Share Grower Director with the Ontario, Flue-Cured Tobacco Growers Marketing Board from 1959 to 1961. In 1962, David purchased the family farm form his mother. David’s extensive knowledge of the tobacco industry was well-known in Norfolk County and beyond. As a result, in 1954, both the Delhi News Record and The Canadian Tobacco Grower invited David to write a column for their publication. The “Tobacco Forum” was born. His weekly column also appeared in “The Times” for many years. The “Tobacco Forum” led David to a full-time career as senior writer for CCF Publication. He wrote articles fro Cash Crop Farming, Fruit Growers and Greenhouse Canada, to name a few. He eventually became the editor of these magazines which are now owned by NCC Publishing. David was considered the leading tobacco writer in Canada. Not only was he extremely knowledgeable but he was skilled at communication this knowledge to the public. His columns were said to “always provide an informed overview of developments. In addition, he was very forthright in calling issues as he saw them.” The “Tobacco Forum” was a regular occurrence until his retirement in 1990. David was very involved in his community, as well. 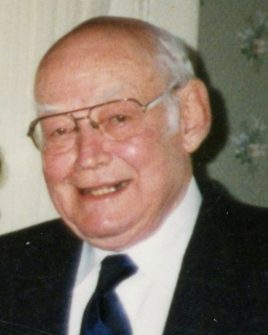 He served as secretary-treasurer for the South Walsingham School Board from 1952 to 1960. He was a lifelong member to the Long Point Lions Club, serving as president, zone director and secretary of the newsletter and he was an elder at St. Williams United Church.